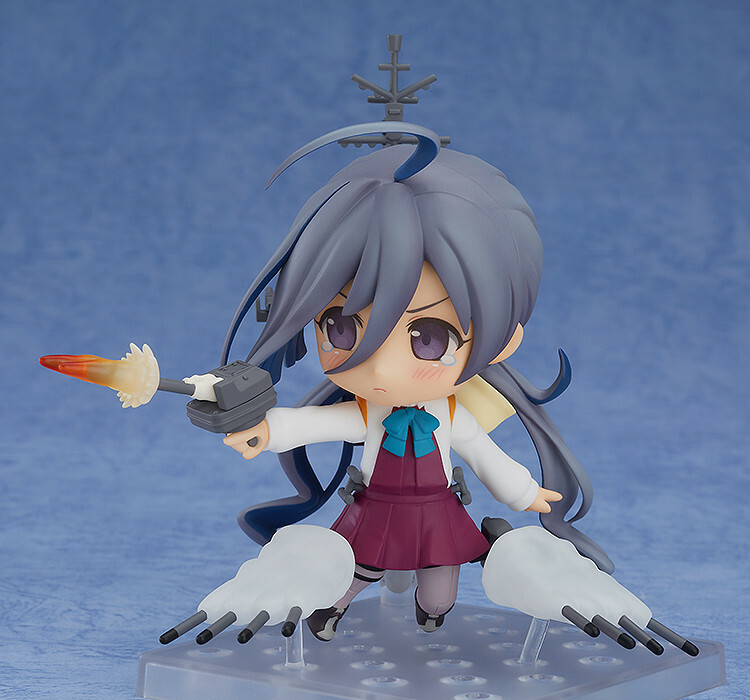 "Isn't it about time you make me into a battleship?" 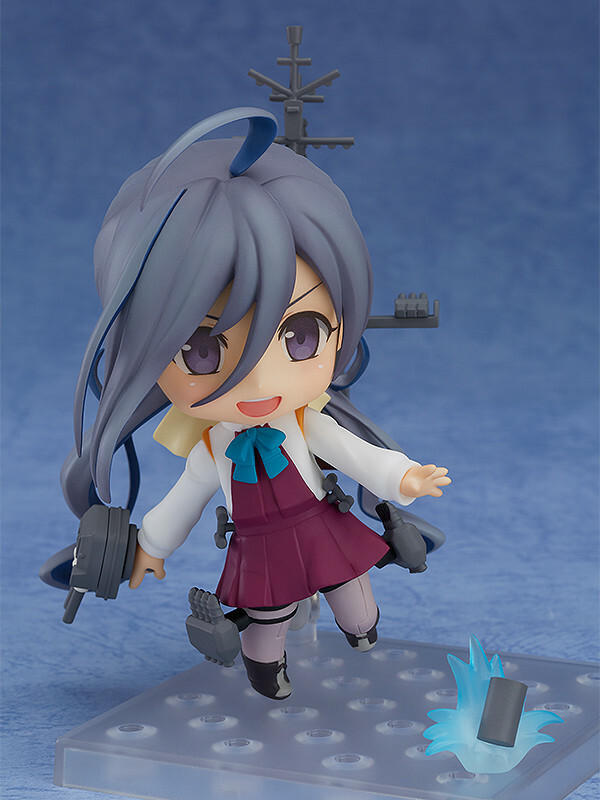 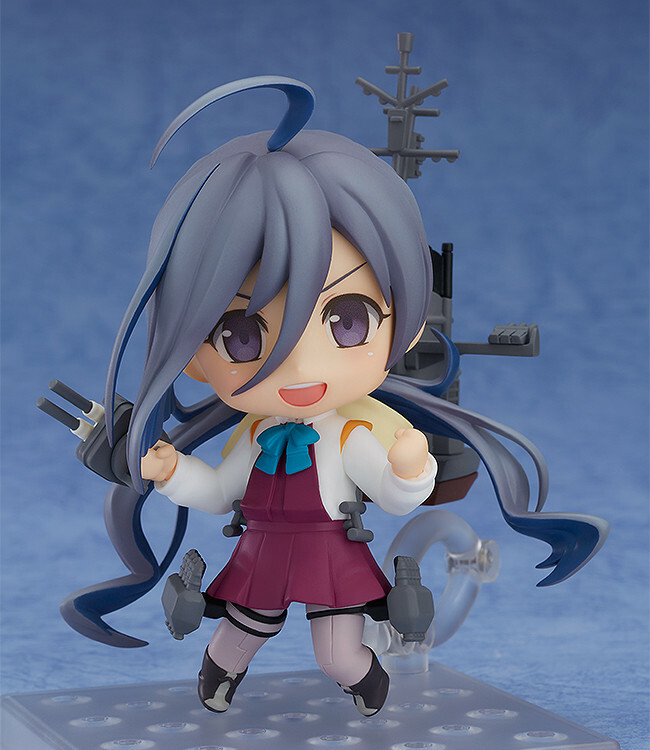 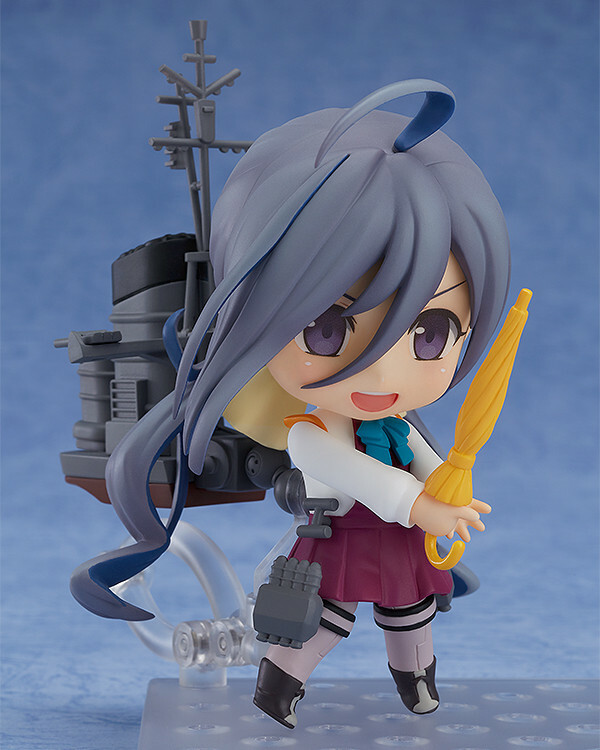 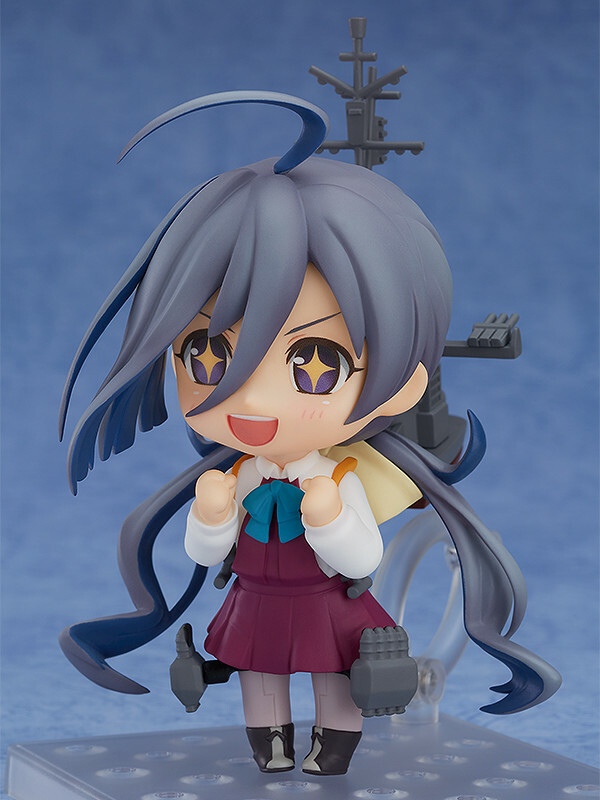 Description: From the popular browser game 'Kantai Collection -KanColle-' comes a Nendoroid of the 19th Yugumo Class Destroyer, Kiyoshimo! 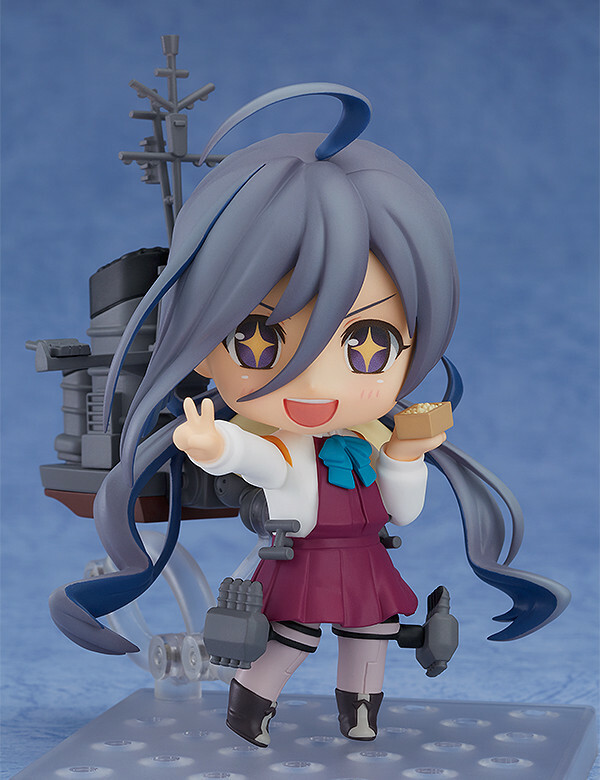 She comes with three face plates including an energetic smile, a half-damaged expression with her cheeks puffed up as well as an excited expression with sparkling eyes. 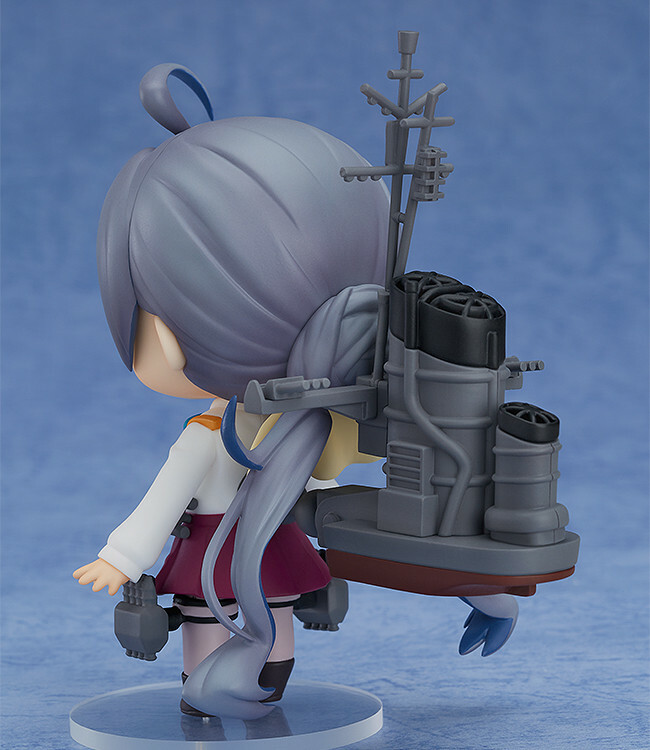 The front and back of her hair are painted with different colors to faithfully capture her original design.